Can you believe September is already over?! I can’t. For me, it was a month of new beginnings, new adventures… and reading! I’m not sure if I’ve ever read as much in September before, which is testament to all the time I seem to have on my hands now, as well as feeling happier than I ever have before. I’ve developed my reading tastes so much in the last few months, and this has renewed my passion for reading in the best way possible. It’s lovely! The first book I read in September was The Lover’s Dictionary by David Levithan. I found my copy in Waterstones for £1, which was a real bargain and I could remember reading Rebecca’s review of it years ago, so of course I couldn’t resist buying it! I read it within a few days of getting it, and thought it was cute and sweet, but was a little confusing in places. Through alphabetical dictionary definitions, it documents a couple’s romance, but the confusion came because, due it being in alphabetical order, their story is told non-chronologically. This meant that one moment you could be reading a happy scene, and the next a sad one. Then, to add more confusion, the words weren’t particularly easy to understand, so it was hard to see how they tied into the story. That being said, though, I did enjoy The Lover’s Dictionary and I can see myself reading it again sometime in the future because it was a very quick, easy book to read. I decided to read Carmilla in September because I’m planning on reading Dracula by Bram Stoker in October, and Bram Stoker is said to have taken inspiration for his story from le Fanu’s. I first bought it after watching a video that Ron Lit made discussing the book, and I’m glad that I’ve finally read it. Carmilla was published in 1871, 26 years before Dracula was published. The most surprising thing about it, then, is the undertones of lesbian romance running throughout between the main character, Laura, and the eponymous Carmilla. This was particularly interesting to read about due to the rigid sexual views of Victorian society and how le Fanu paints Carmilla as unearthly and villainous to get away with this. Carmilla isn’t the greatest piece of literature I’ve read, but one that I think is an important part of the canon and it has intrigued me enough to want to read more of le Fanu’s works in the future. There’s also a webseries on YouTube based on Carmilla, so I’m going to have a watch of it sometime soon! An important feminist text, I couldn’t avoid reading The Yellow Wall-Paper for much longer, so September was finally the month that I read it in. This edition, part of Penguin’s Little Black Classics, has two other short stories alongside The Yellow Wall-Paper, but I found all three stories quite mediocre and the last two, in particular, I have mostly forgotten. The Yellow Wall-Paper looks at women’s physical and mental health and they were they were treated in the 19th Century if unwell. It’s creepy and haunting, but the last few moments in the short story also seem empowering. I’d like to revisit The Yellow Wall-Paper in the future, but for now I’m left feeling a little indifferent to it. I purchased The Interestings back in the summer and have been patiently waiting for the right time to read it. I took my time with it which allowed me to immerse myself completely in the story and I ended up suitably impressed. The Interestings follows a group of teenagers at a summer camp in America where they pledge to be interesting for the rest of their lives, and then progresses as they grow older, get married, start working and have families. Meg Wolitzer is an incredibly talented writer, who has great literary merit, and I was sucked right into The Interestings. I did have a few problems with it: often the chapters were very long and so it was rather laborious to get through when I was reading it at the end of the day and, in turn, this made it harder to get into; and I couldn’t warm to the character of Jonah. There were only a few chapters that followed him around that I liked and I found myself skipping through some of his parts because I wasn’t interested enough in him. I much preferred the other characters, but I also thought his narrative allowed for some important things to be discussed, such as his sexuality and AIDS. Mrs Dalloway by Virginia Woolf is one of my favourite books of all time, so you’d expect a book like The Hours, that is based off of Mrs Dalloway and Virginia Woolf’s life when she was writing it, would be very loved by me, right? WRONG. I couldn’t even finish The Hours. The thing I immediately disliked about The Hours was its writing style. Mrs Dalloway was written so fluently in its stream of consciousness style that Michael Cunningham’s blunt way of writing didn’t feel right. I couldn’t connect to the characters and it was painful to read. There was no way I could continue to the end with it. I included Frankenstein because it was my hope that I would have finished reading it by the end of the month, but I’m only halfway through at the time of writing this, so I’ll talk about it fully at the end of October. So far, though, I’m enjoying it and think Mary Shelley is a wonderful storyteller. Writing wise, I don’t think it’s the best thing ever written, but based on the story it’s obvious why it’s one of the most popular books ever written. So those were the books I read in September! 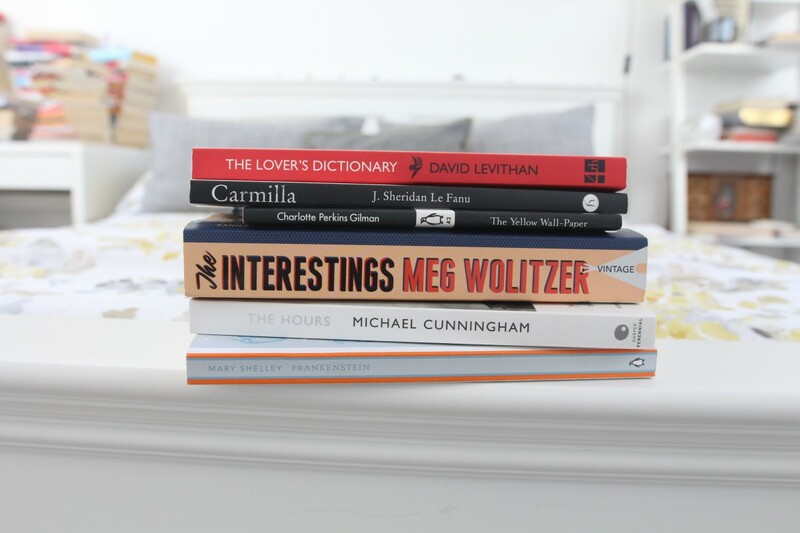 I’m really excited to get reading in October, mainly because I’ve picked out some amazing Victorian Literature to read… more on that tomorrow! What did you read in September? Let me know the best and worst book you read in the comments! If you enjoyed this post, don’t forget to click the ‘heart’ button below! 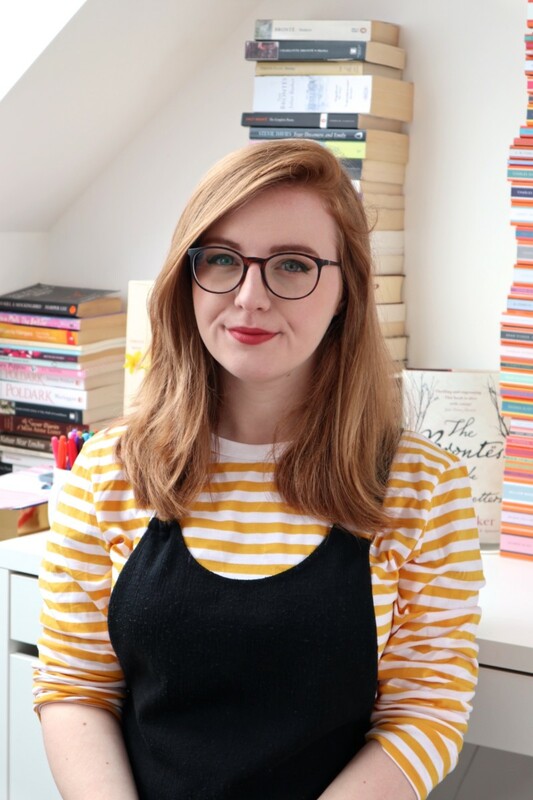 I wrote about The Yellow Wallpaper for my A2 English Lit coursework – it is so creepy but I found after studying Gothic Literature and going back to analyse it for my essay, this book has so much interwoven beneath the surface than I realised at first so definitely recommend revisiting! I have been loving the Shatter me series. I am going to order the third book in a little bit. The book I didn’t like was 23 minutes in Hell by Bill Wiese. It supposedly was an account of his “experience” in Hell. Oooh, I’ve been wanting to read The Lover’s Dictionary. I’ll have to give it a go sometime in the near future! I really want to read The Yellow Wallpaper, it sounds so incredibly haunting! It would be perfect in the run up to Halloween! I’m a sucker for quirky concepts, so The Lover’s Dictionary sounds fantastic! Plus I’m used to non-chronological stories, being a time travel geek. xD I love “Doctor Who,” and recent non-chronological stories I’ve read/watched are I’ll Give You the Sun by Jandy Nelson and the new TV series “This Is Us.” Both are incredible and highly recommended. I love quirky concepts too! The Lover’s Dictionary will be perfect for you. I really want to read I’ll Give You the Sun soon after reading The Sky is Everywhere a few years ago.